Established in Baton Rouge in 2006, Hoffpauir Studio, LLC is a dedicated group of professionals that are committed to providing quality design projects which are meaningful to the people who use them. Our collaborative open studio environment takes advantage of each person’s diverse experiences which in turn allows us to take on a wide range of architectural services including: Custom Residential, Ecclesiastical, Commercial, Healthcare, and Master Planning for the future. Hoffpauir Studio approaches each project as a distinctive undertaking, the results of which garner rich generous designs that are original and unique. 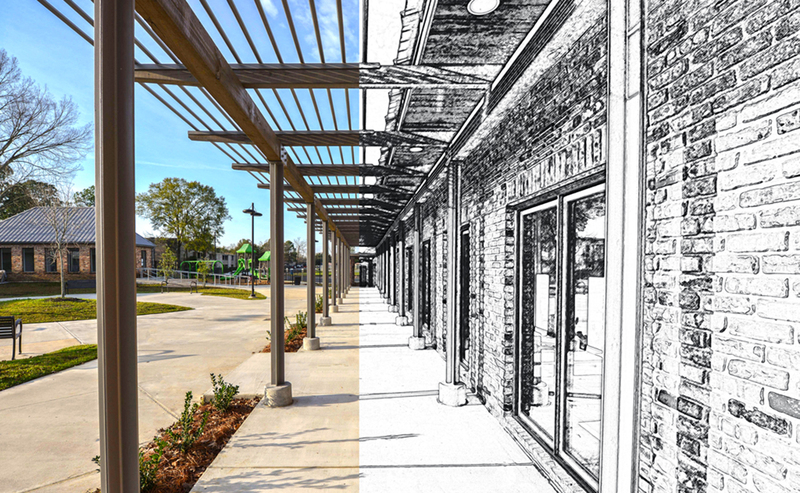 We strive to create spaces that best represent the needs and functions of our clients while developing adjacencies that create places for socially creative interaction and exteriors that fit within the fabric of each individual site. With a consideration of integrating sustainable strategies in every project, we work with our clients on creating an environment that promotes healthy spaces and decreases its life cycle expenses.